School is starting soon. I think I just heard YIPEEES!!! from several of you. 🙂 Autism parents might be a tad more excited than the average parent for their child to go back to school after summer break, as that routine and consistency can make a night and day difference for our children. it can resemble one big spider web. There’s a solution that greatly helps us traverse that spider web with agility, and helps everyone dive into a new school year with an exceptional start. What can you do to keep positive momentum going at school? Most of you have an IEP for your child, but this gets into the every day, moment by moment life of your child. Many times the IEPs don’t get to that, they don’t deal with the day to day changes and individuality of our children. 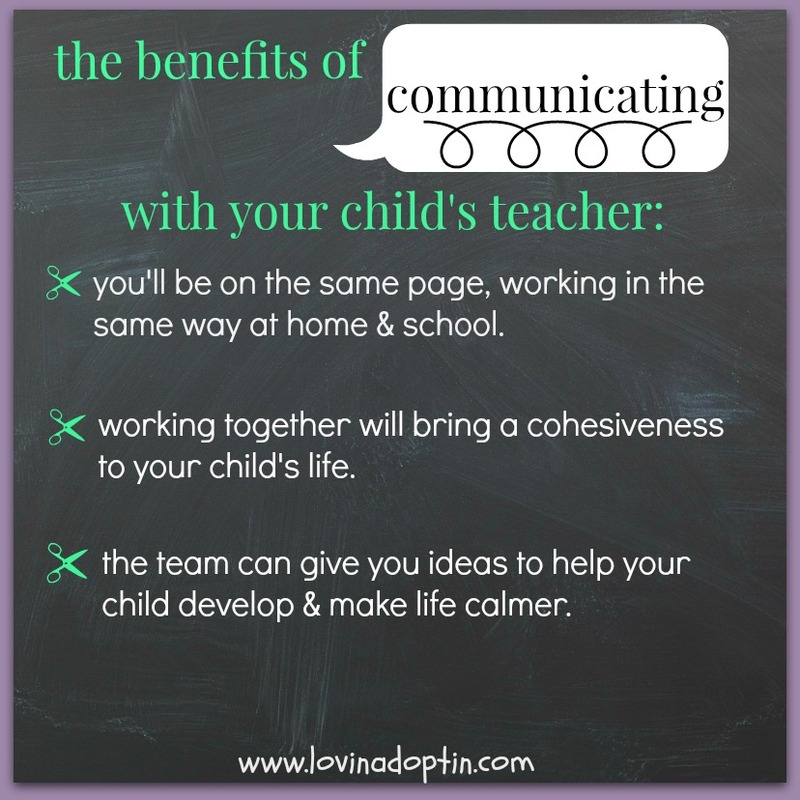 Communicate what your child is doing at home. The good and not so good. Are they experimenting with new toys? Do they have new sensory needs? What have you noticed that’s different? Are there situations at home that are troublesome, maybe some issues you need help working through? Communicate what’s working. Swimming? Trampoline? Rolling in blankets? Is there a special corner your child loves to be in? Could the school recreate this setting in the classroom to help your child calm? Are you using phrases at home that seem to help your child transition (e.g. “FIRST we’ll go to the bathroom, THEN we can color some more.”)? 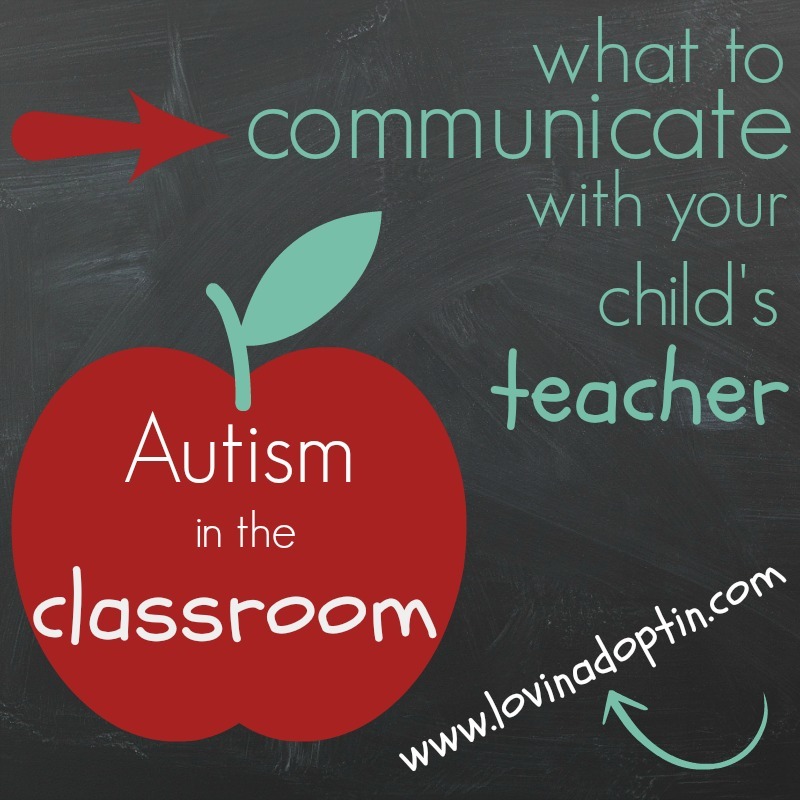 Communicate how your child is interacting with others. Are they using new words, signs, or gestures? Are there new sounds or phrases that someone else might not understand? What is your child understanding? As our children develop they understand more of their world, but at the same time other concepts become more misconstrued, so explain what’s going on with your child in this area. 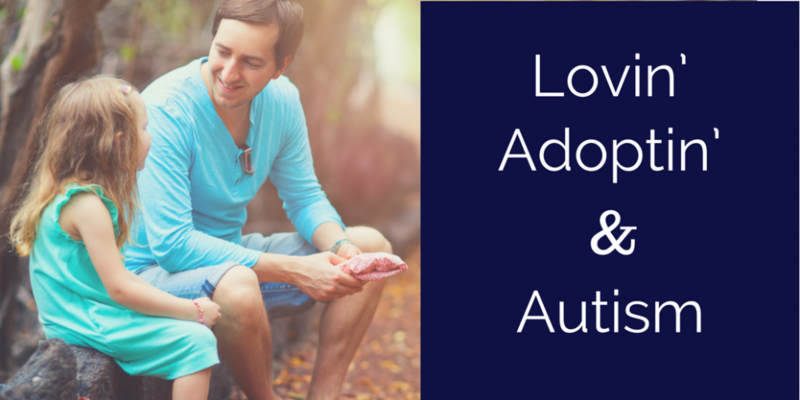 Sharing with the staff about your Autistic child will help in many areas. You will be able to get on the same page, working in the same way both at home and at school. The staff will know what you’re doing at home and be able to incorporate your ideas at school and vise versa, this will bring a cohesiveness to your child’s life, making it more predictable. The teachers can give you ideas on what to do with your child at home to help make life calmer and to help your child develop. When I say, “teacher,” I’m referring to their teacher, aide, paraprofessional, and therapists. You can talk to each one individually, but that takes up an incredible amount of time, so choose the one who works with and understands your child the most. If you’re able to talk in person with a paraprofessional, you can email the rest of the team regarding what you spoke about. Be sure to keep everyone in the loop. You don’t have to monopolize the teacher’s time, this can happen so easily, it especially does for me because our son’s teacher has a teenager with Autism. We could talk for hours. Try to choose a time when the teacher is available and doesn’t seem rushed, and if it’s a pressing matter, she/he will probably have a few moments. If it’s not pressing, you can email or chat on the phone when it’s convenient for them. Our family has really benefited from conversing with everyone who works with Jeremiah. We’ve all been able to work together to problem solve and most of the team is willing to take ideas from the other and incorporate what works and what’s best for Jeremiah. Have you been able to talk with your child’s teaching team? Did it make a difference? If you haven’t been in communication with the teachers before, do you think it would make a difference? You can receive every post made to Lovin’ Adoptin’ by subscribing in the upper right corner. If you’re on a mobile device, you can do this on the web version. 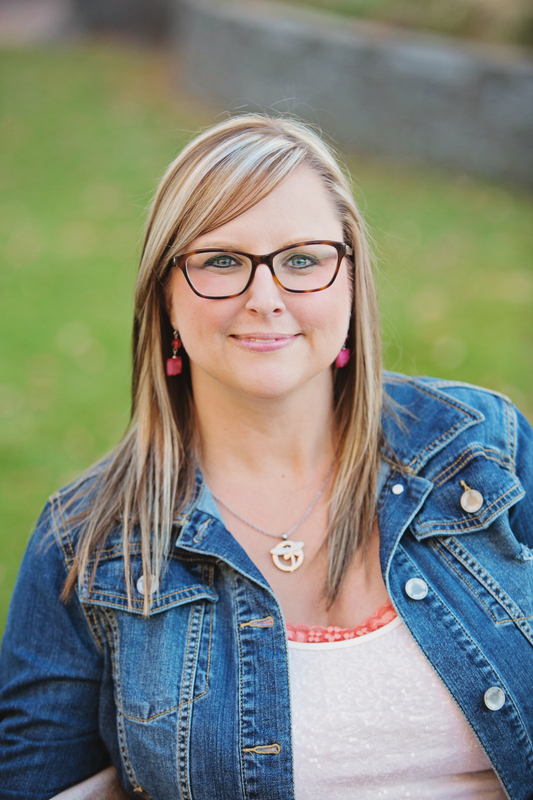 You can also follow me on Facebook, Twitter, and Pinterest for more information and links. Happy school year! There aren’t many things greater in life than knowing your child is in capable, caring, and safe hands when you drop them off at school. That feeling is multiplied exponentially when your child has special needs. I know how wonderful Jeremiah’s preschool teacher (his aides are truly amazing also) is because I know what it takes to understand, help, befriend, and teach my son. I know how it can be daunting for others to simply watch Jeremiah and feed him snack. I know Ms. Gina goes far above what’s expected of her. She knows Jeremiah is used to the room after being in her class for two years, but every year after the one coming up, he’ll be in a new environment. New teachers, new classrooms, and possibly new paraprofessinals*. Even though it’s going to stretch Gina, because she likes the way her room is set up and never alters it’s basic layout, she’s doing this for Jeremiah. One child who’s in her class for three years. She cares that much about him, his development, and preparing him for his future. for the principle who hires quality staff and promotes inclusion for special needs students, and for that staff who puts students needs first. The peace I feel when my child goes to school is unparalleled. Although he has special needs and is nonverbal, I’m confident he isn’t being abused, talked down to, thought less of, belittled, or placed in a corner. Having a a great special ed teacher is priceless. *Jeremiah’s preschool is on an elementary school campus. His preschool is specifically for children with special needs and kids who are high risk. The elementary is a public school, which includes special needs children in the regular classrooms. 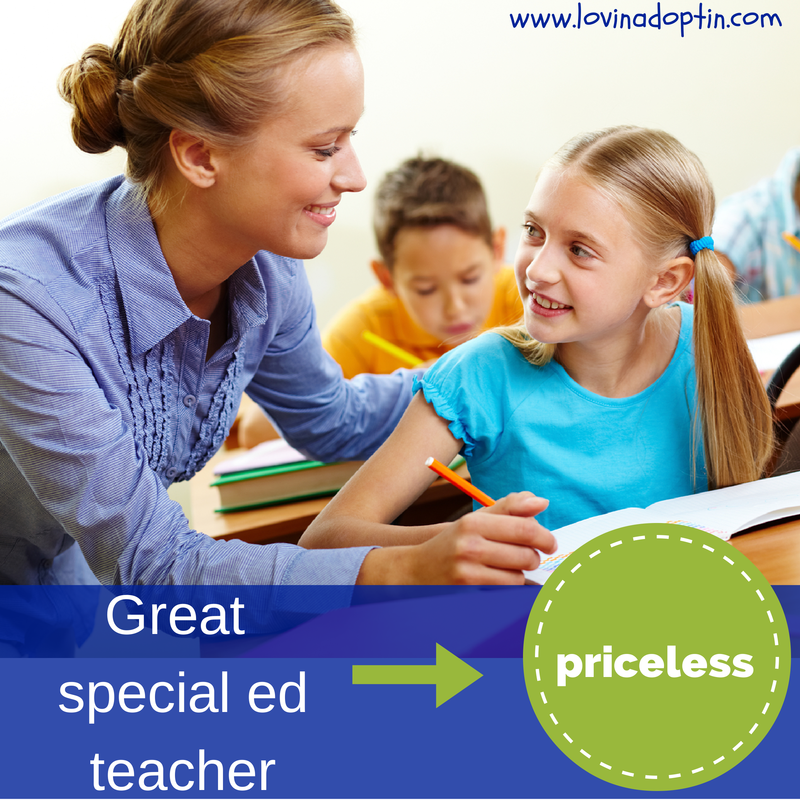 Does your child have an awesome special ed teacher you’d love to brag about? What about their school? Does it make you feel at ease when you leave your child in capable hands? You can receive each post made to Lovin’ Adoptin’ by subscribing in the upper right corner. If you’re on a mobile device, you can do this on the web version. You can also follow me on Facebook, Twitter, and Pinterest for more helpful information and links.